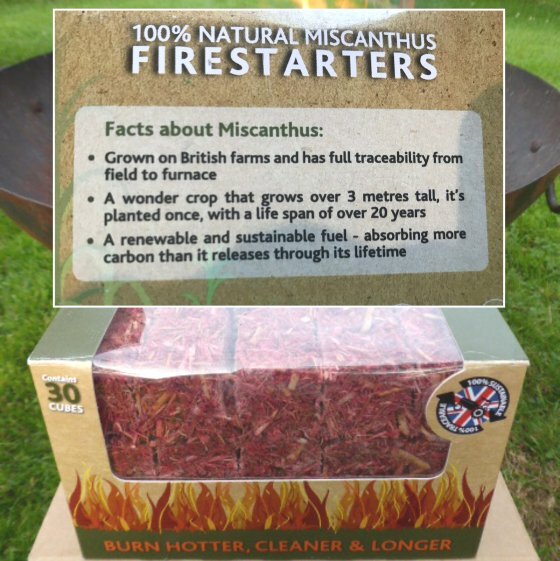 Dried miscanthus leaf and candle wax – no unpleasant smells! Price per box of 30, including delivery as an add-on. Burn hot, light easily. Clean handling, no unpleasant aromas. British grown, sustainable and traceable. High nutrient, compostable ash.